Opening days on Laxa in Kjos gave us 36 salmon landed to only 5 rods. The river is in high water but we are still using small flies in sizes 12-14. As a result we are loosing a lot of salmon, but they simply refuse larger flies or tubes. 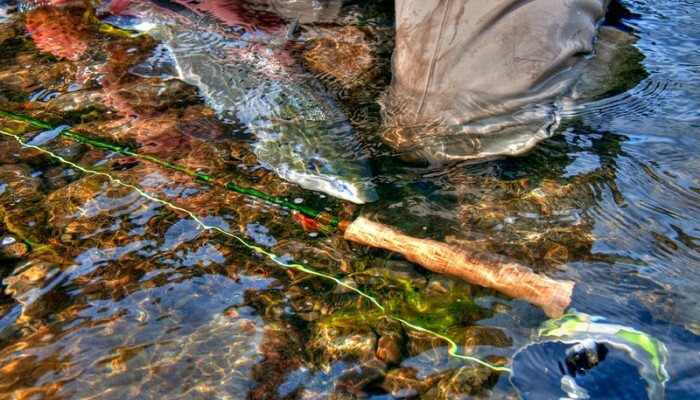 Grimsa opened on June 20th with 20 salmon the first day for the 6 rods. On both rivers we have grilse runs in allready, but larger springers amongst the runs. It is specially good to see large salmon in the 6-8 kg range. They are the strongest of all fish. Prospects are good, and we are supposed to have more rain in the coming days.